Some cultures put their gods in temples, with statues bedecked in gold. Others immortalize them in myth and legend. In America, we put them on stamps. 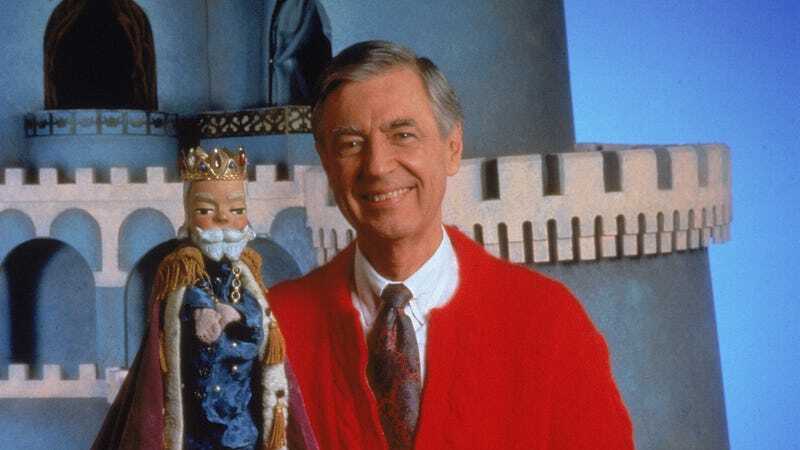 And so, we’re happy to note this week that Fred Rogers—the children’s entertainer who did his darnedest for decades to help kids be the best version of themselves—is being inducted into the American pantheon, right alongside Elvis and The Simpsons, on his own U.S. Postage stamp. The stamp isn’t the only tribute Rogers has received in recent months; Funko just announced a line of new figures using his calm, genial likeness, and Tom Hanks was recently cast in a biopic about him, You Are My Friend.